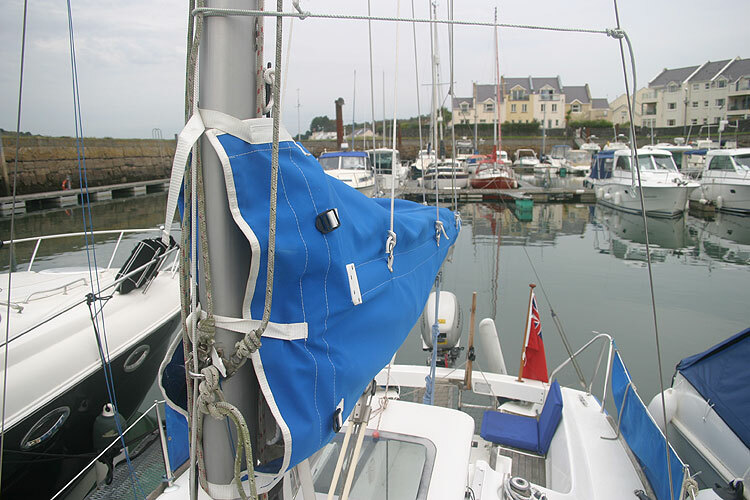 The owner has taken every care to maintain the vessel in good order, including new standing rigging, new sails and furling gear. 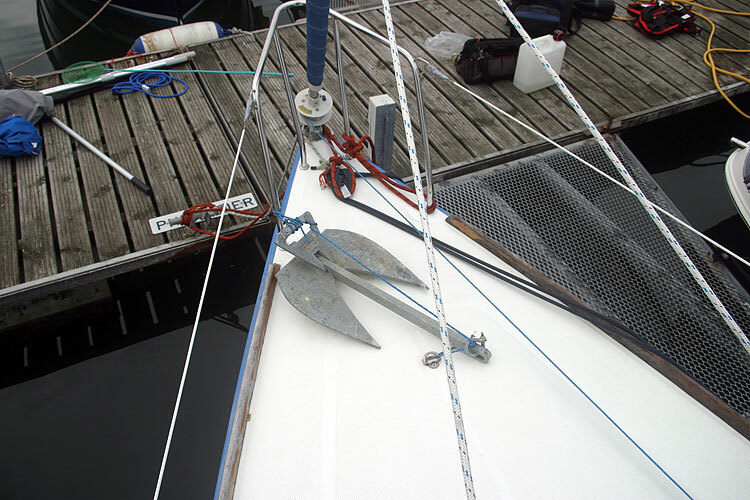 The stacking system and lazy jacks are also new. 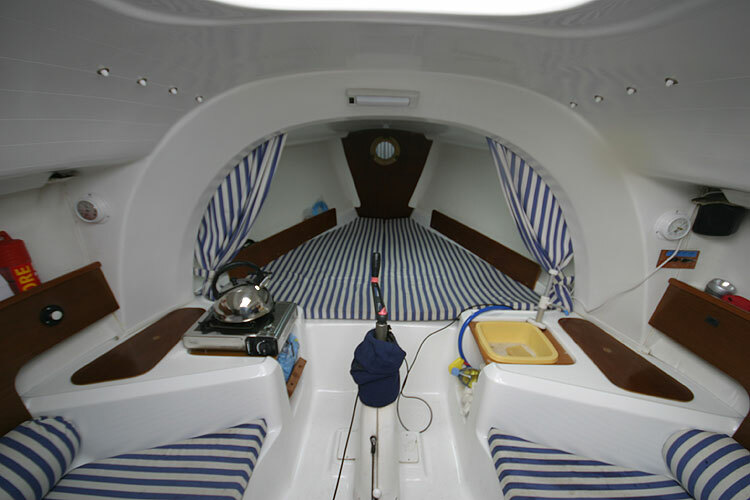 This is an ideal starter boat with smart but functional accommodation for four persons. 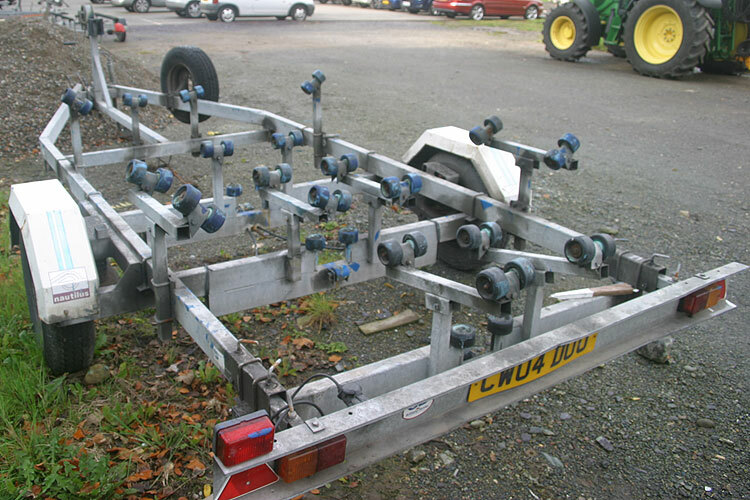 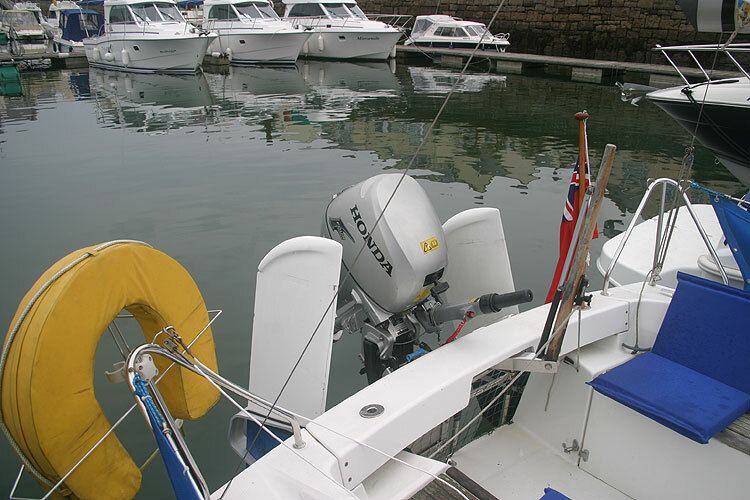 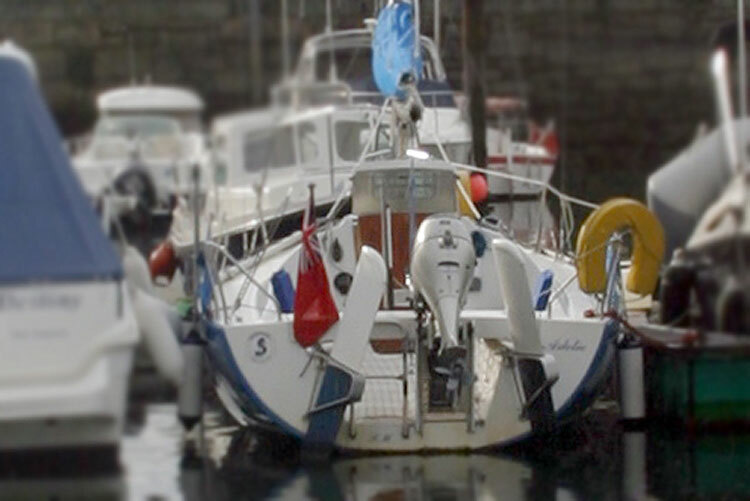 This boat is a perfect trailer sailer which can be readily towed. 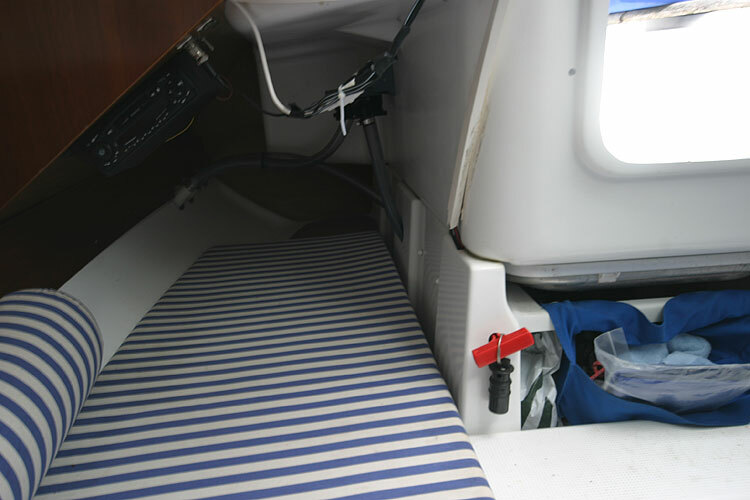 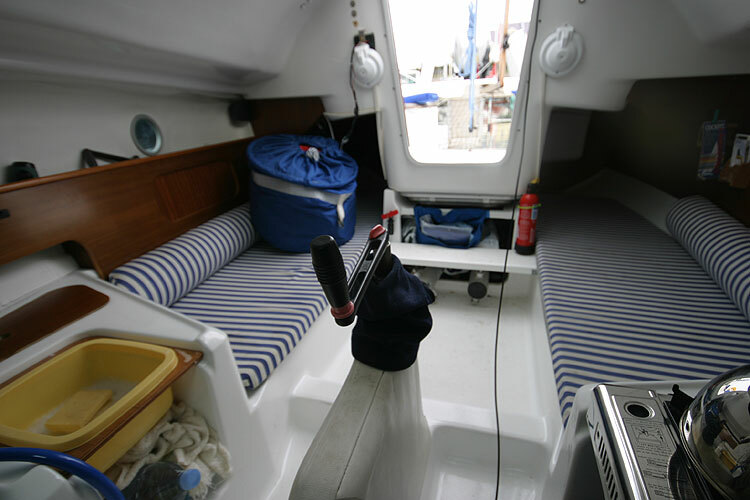 Good performance with a draft of 5 ft 10 inches, with the keel down and a draft of only 2ft 4 inches with the keel up.This allows the owner to explore shallow waters with confidence , and to dry out on secluded beaches in safety. 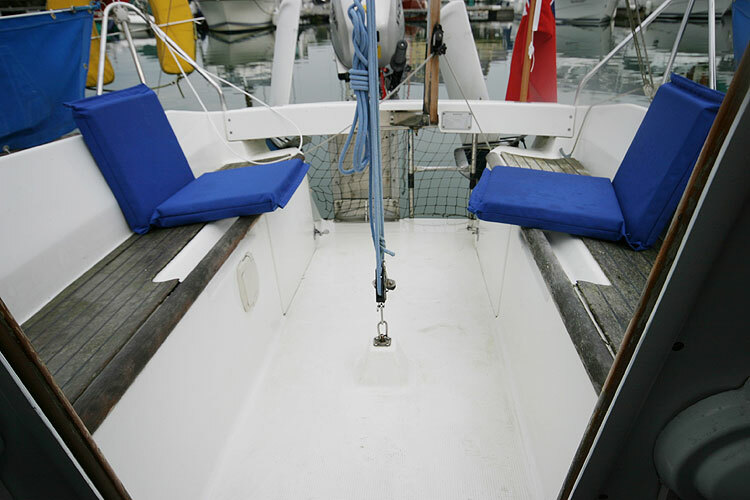 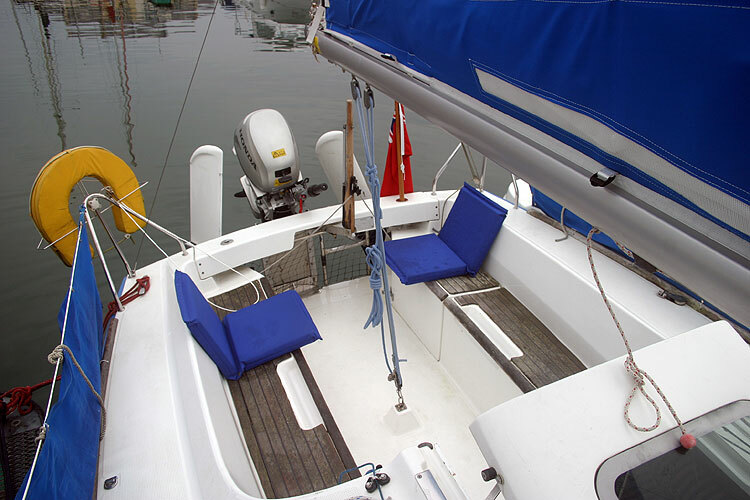 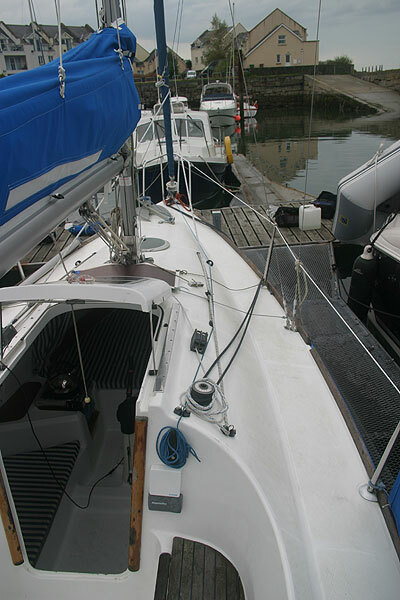 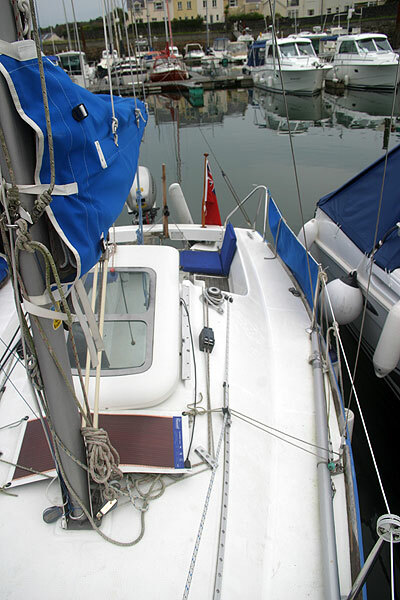 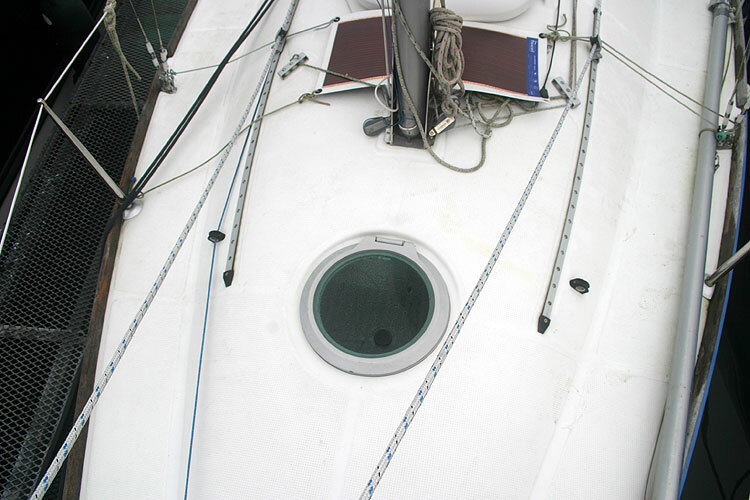 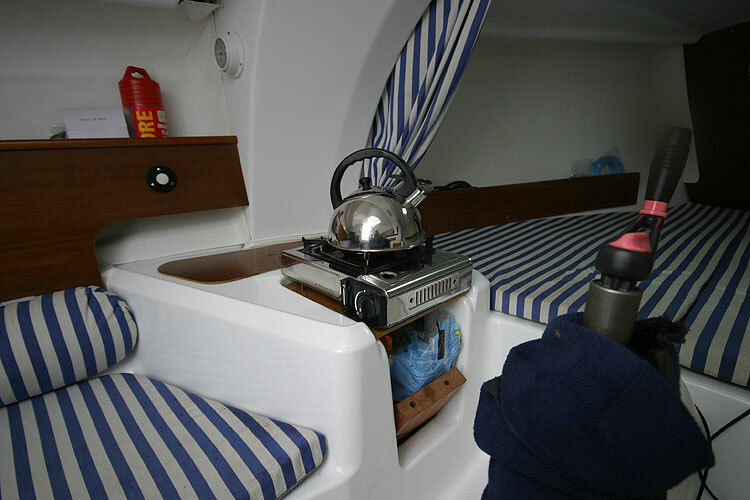 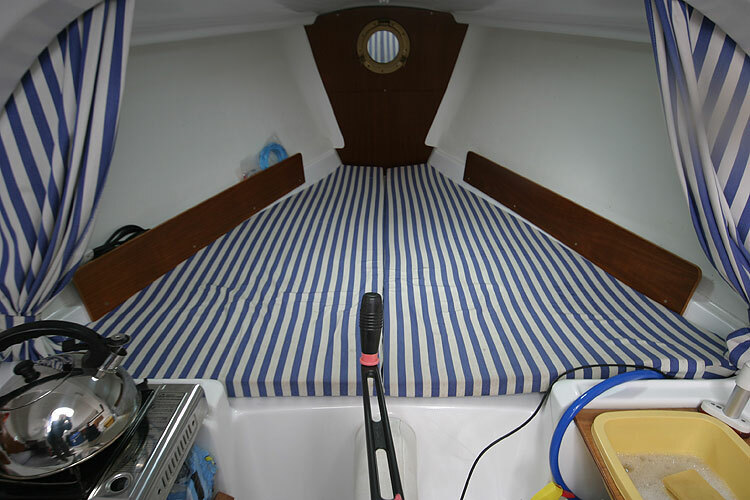 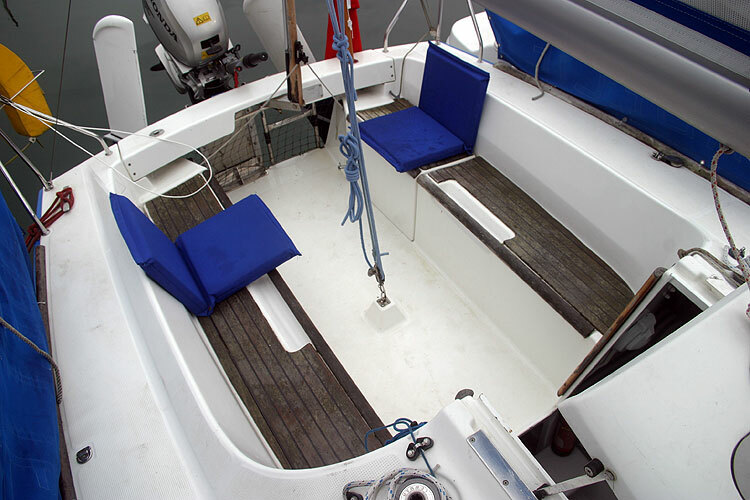 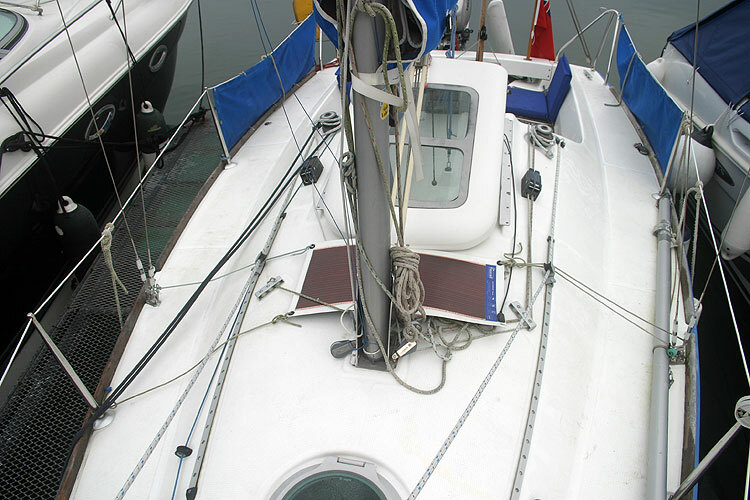 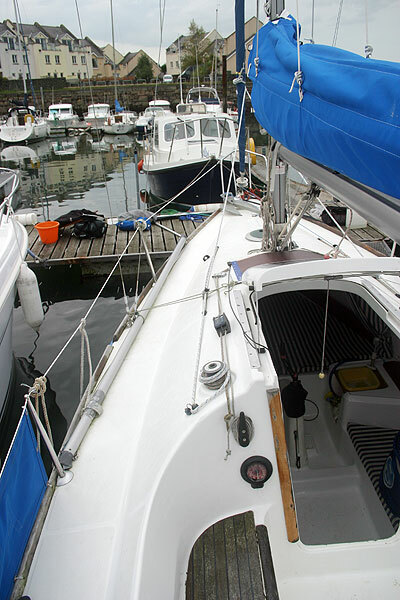 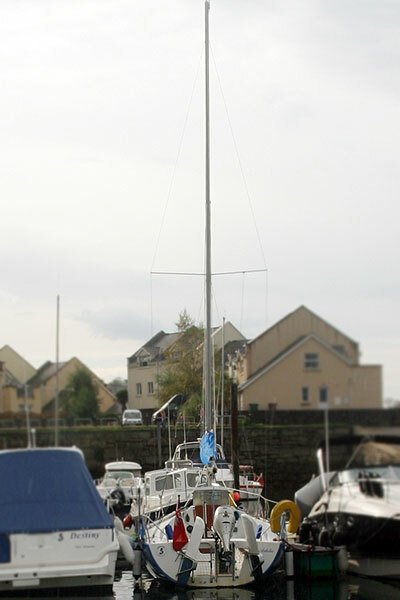 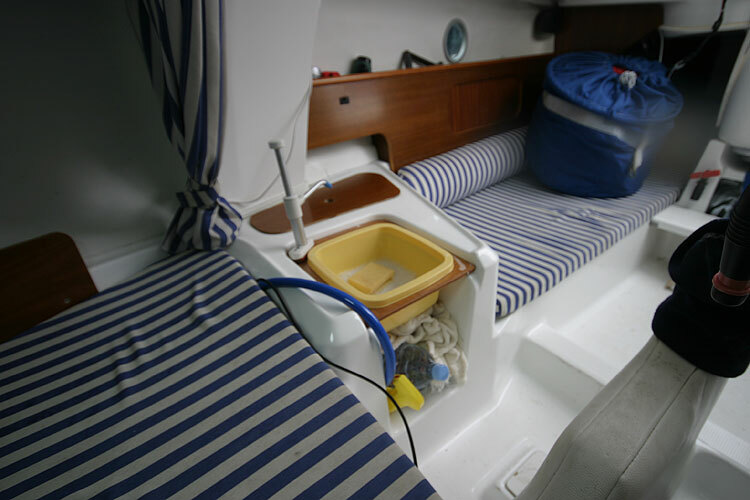 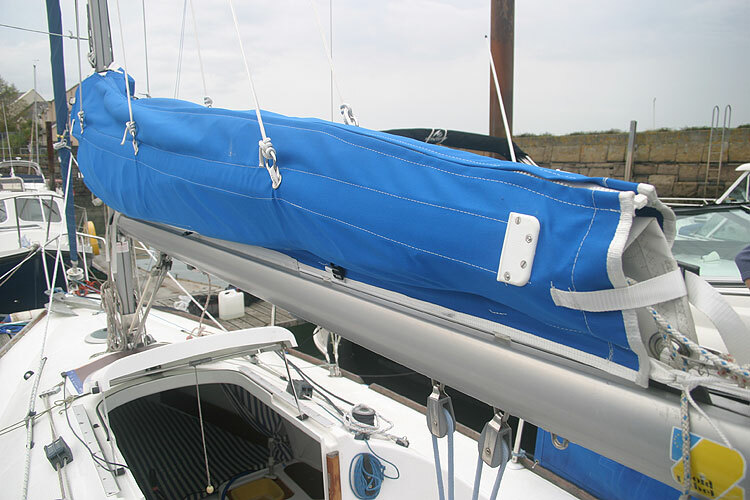 With a sail area of 243 square feet, she is easily manageable with good performance. 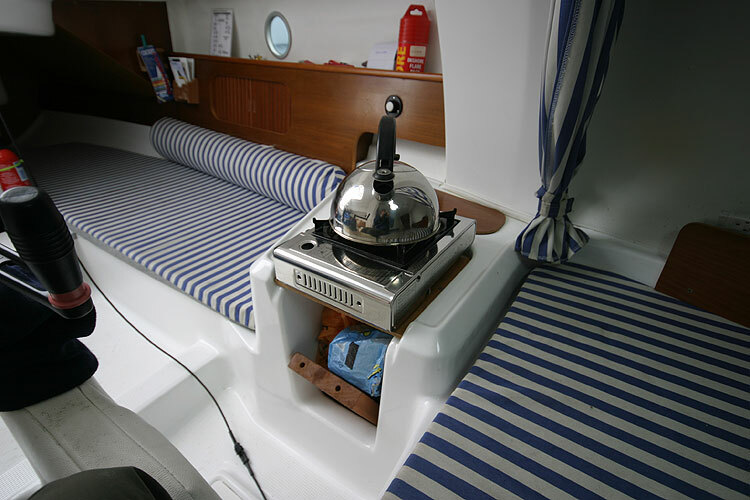 Single burner gas cooker and sink. 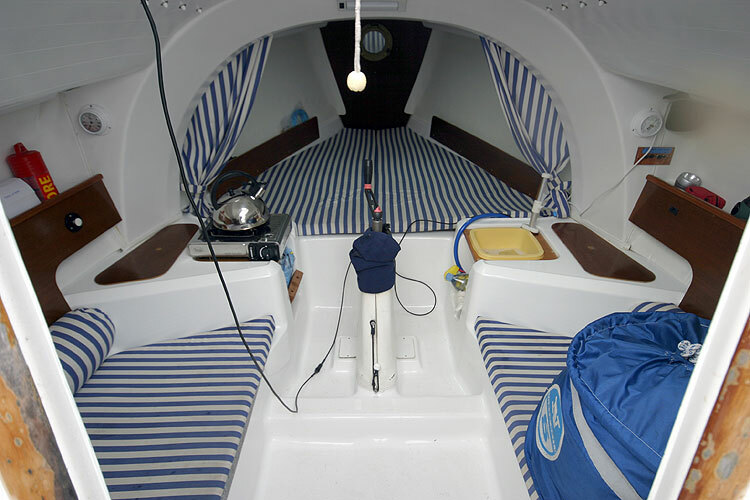 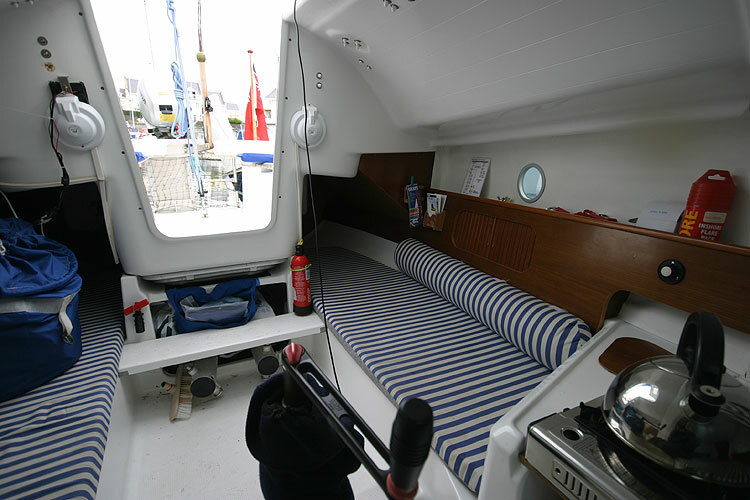 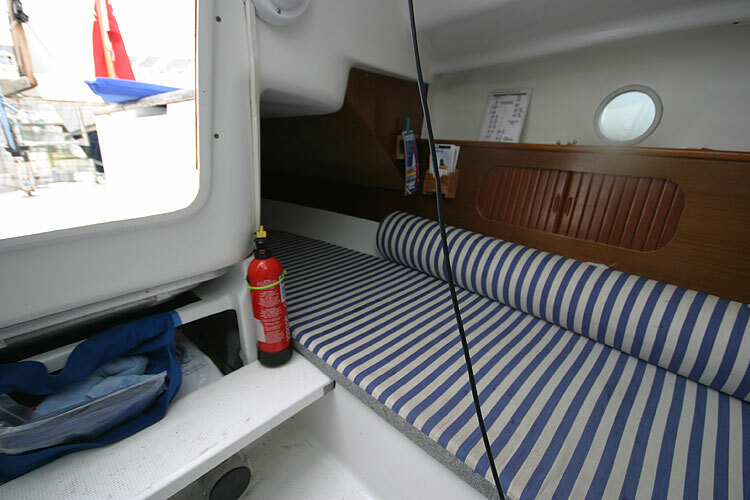 With a standard sail area of 243 square feet. 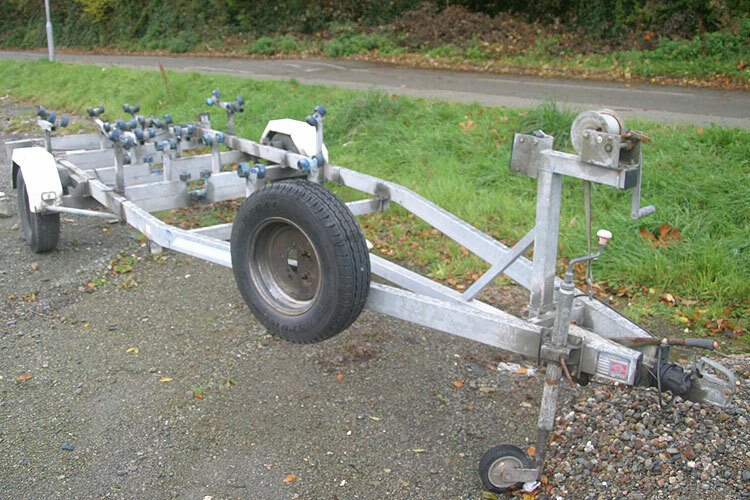 A road trailer is included in the sales price. 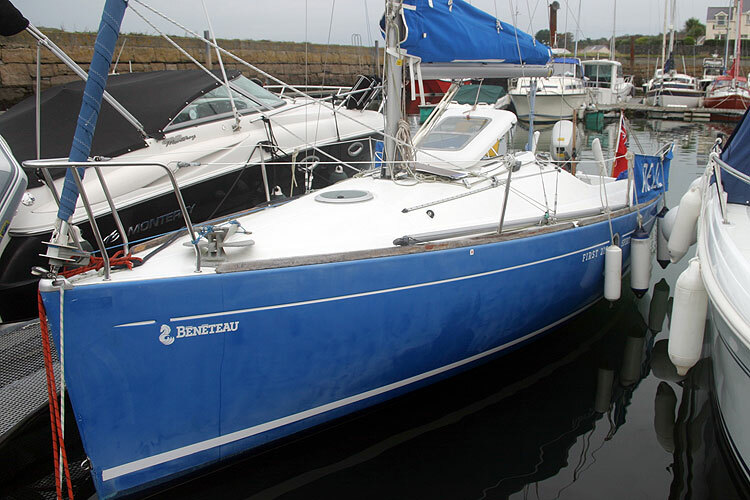 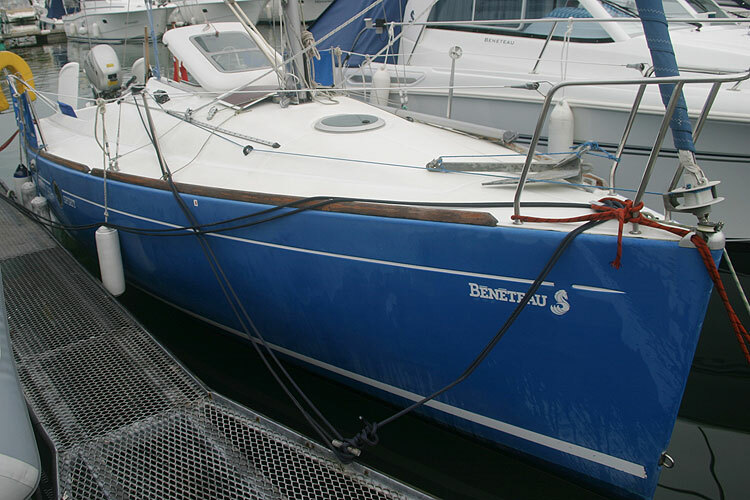 This boat is no longer for sale and remains here solely as an information resource for those researching Beneteau First 210's.